This noise nuisance continues to increase as permitted aircraft movements increase by 50,000 to 120,000 a year. This Council unanimously resolved to oppose any further expansion of London City Airport and has raised its concerns about the noise nuisance experienced by its residents but been consistently ignored by the Airport. London City Airport will shortly apply to the London Borough of Newham for expansion of stands at the airport, to facilitate the growth of the airport and the increase to 120,000 aircraft movements a year. In April, around the time David Goodhart published his book on immigration, The British Dream, I wrote this article for the Sunday Express comparing and contrasting Robin Wales’s Newham and Lutfur Rahman’s Tower Hamlets. Imitation is the sincerest form of flattery, I suppose…the esteemed Economist newspaper published its own version yesterday. It’s here. Why not compare and contrast the two pieces. The Economist piece seems to have been written by someone making their first visit to the borough, by someone overawed by the Mayor’s Hollywood limo-driving charisma (ahem); by someone who hasn’t even considered the resentment caused by his policies, by someone who thinks synagogues are aplenty and the backbone of the community, by someone imagining Tower Hamlets is a microcosm for potential Middle East divide: note the lack of a single reference to any churches. STRIDING into the east London Central Synagogue, Lutfur Rahman grasps Leon Silver, a wiry Jewish elder, in his arms. Mr Silver hugs back. Since winning the mayoralty of Tower Hamlets, an east London borough with a quarter of a million inhabitants, in 2010, Mr Rahman has allocated some £3m ($4.5m) to repairing religious buildings. The synagogue is one of them. Tactile and soft-spoken, with a beaming countenance, Mr Rahman—a Bangladeshi Muslim—is every bit the local champion. Crossing the street, he poses for a photo with the owner of a café. That causes a traffic jam, which worsens when drivers spot the mayor and demand to shake his hand. Fans duly placated, Mr Rahman sets out his political philosophy. Religious groups are the backbone of Tower Hamlets, he explains. The riots of 2011 never came there because faith groups patrolled the streets and elders kept the young in line. Nurturing a community, he says, means building up religious outfits and charities that serve particular groups: mosques, synagogues, lunch clubs and the like. Mr Rahman also waxes eloquent about the social benefits of large extended families; he is building five-bedroom public homes to accommodate them. Mr Rahman’s job is unusual. Only four of London’s 32 boroughs have elected mayors. Elsewhere party-political cabinets elect a council leader. Borough mayors emerged mostly where local councils were ailing. These days all are overshadowed by Boris Johnson, the TV-friendly mayor of the whole city. But two stand out, because of their contrary views. East of Tower Hamlets, Sir Robin Wales, the elected mayor of Newham, has an entirely different notion of how to run a diverse borough. Whereas Mr Rahman soothes and smooths, Sir Robin fizzes and bulldozes. “We need to be constantly knocking down walls,” he says in a Scottish accent (he moved south 30 years ago). He means it literally: he points to a forest of cranes erecting new shops and housing, some of it on the Olympics site. He also means it figuratively. Sir Robin wants to take a sledgehammer to divisions between religious and ethnic groups in his patch. 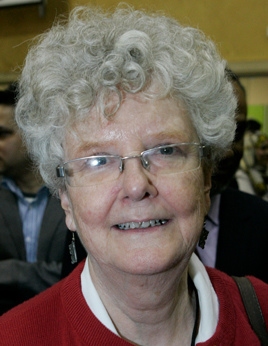 In Newham, every spare penny goes on events and organisations designed to benefit everyone. The borough provides children with three years of music lessons and a visit to the theatres of the West End. Sir Robin refuses to give money to faith organisations and has cut spending on translation services. “If you give money to a group you make it more powerful,” he growls. Any street that wants to hold a party can apply for money—so long as the event involves all, not just one community. In allocating social housing, Sir Robin insists he is ironing out the divisions between different ethnic groups. The two mayors’ philosophies are thus utterly at odds—and also rather odd, at least for Britain. Mr Rahman’s style of ethnic-group politics is reminiscent of urban America. Sir Robin’s determined secularism is more French. 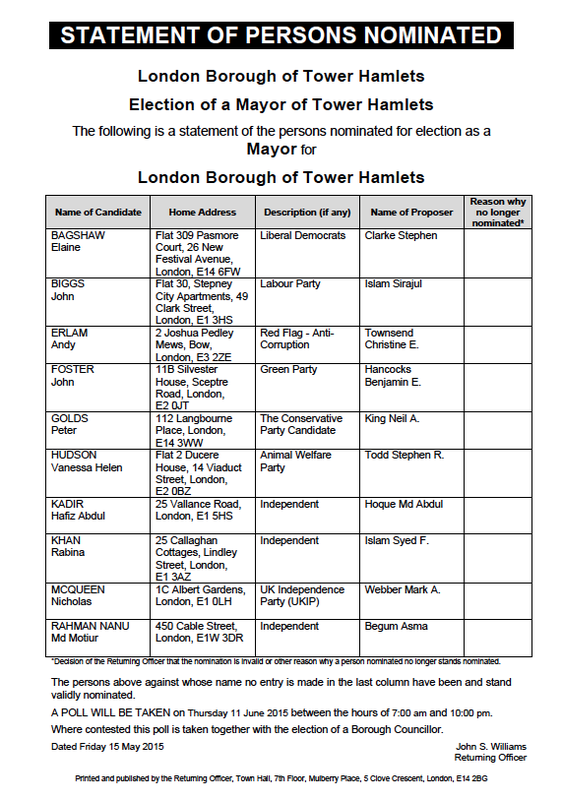 One explanation is the different make-up of Newham and Tower Hamlets. 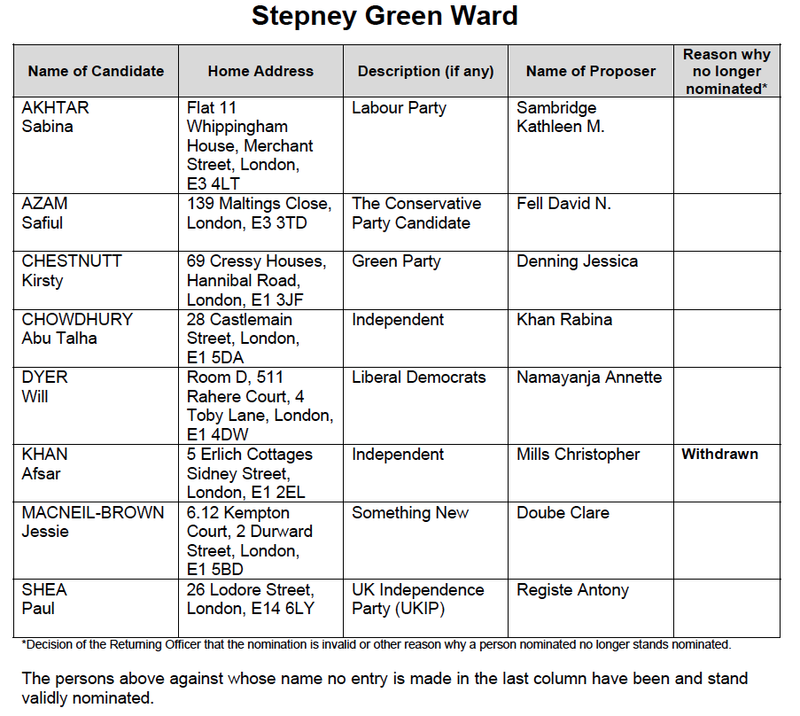 Both have lots of immigrants and non-whites, but Newham is more diverse. No ethnic group constitutes more than one-fifth of its population (see chart). 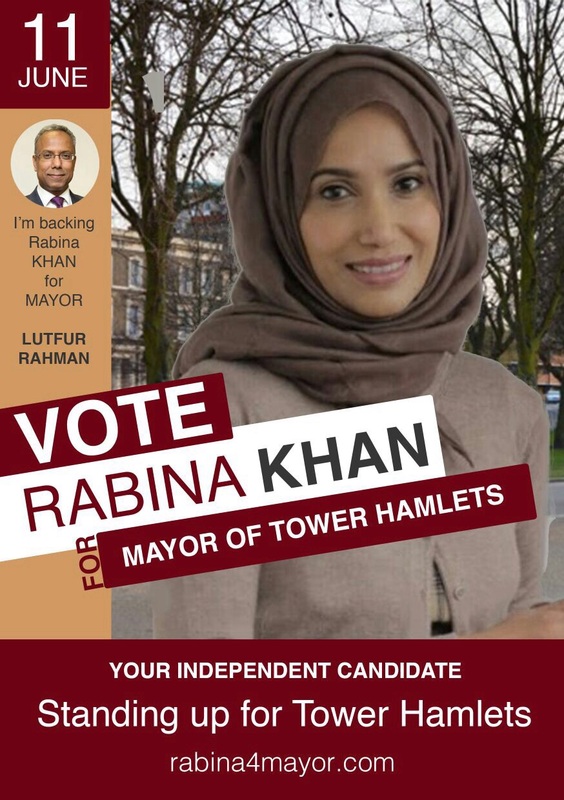 Tower Hamlets, by contrast, is about one-third white British and one-third Bangladeshi. And, because the borough’s white Britons are divided between yuppies, many of whom work in the financial district of Canary Wharf, and old working-class Cockneys, the Bangladeshis hold sway. For all that Mr Rahman brandishes his support for other groups, Bangladeshis run so many religious and charitable organisations in Tower Hamlets that spending on such outfits tends to benefit them. And money given can also be taken away. John Biggs, a Labour opponent of Mr Rahman (who is an independent), says some organisations have cancelled meetings with him for fear of losing the mayor’s support. One man, whose charity did invite Mr Biggs and whose grant was cut, says he was subsequently told at the local mosque: “If you want to live in the water, you have to be a crocodile.” Mr Rahman’s allies and aides deny the removal of funding had anything to do with the invitation. Because Newham is more diverse and more immigrant-heavy (over half of its residents were born abroad) its political complexion is quite different. No group dominates. As a result, the mayor can eschew patchwork politics and run his borough as a melting pot. Both Mr Rahman and Sir Robin go before voters next May. Opponents are stirring. Mr Biggs is confident that despite his disadvantage among Bangladeshis, a high turnout will propel him into office. Sir Robin has cross-community appeal (he won 68% of the vote in 2011, albeit on a low turnout) but Respect will challenge him. And both men are threatened by bigger forces. London is churning, becoming ever more ethnically, religiously and linguistically diverse. Every year almost 1m people move into or out of the city, or between its boroughs. Bangladeshis are moving out of Tower Hamlets and their share of its population is falling slightly, threatening Mr Rahman’s power base. And both he and Sir Robin have ever stronger competition in Mr Johnson, who is steadily grabbing powers from the boroughs. Local politics is unlikely to produce more men like them. Which is rather a shame.